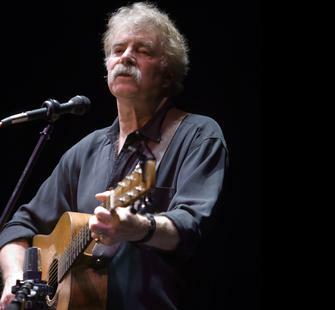 Tom Rush's impact on the American music scene has been profound. Credited by Rolling Stone as shepherding in the era of the singer/songwriter, this American folk and blues artist is known for his own hit compositions such as "No Regrets," as well as introducing songs by Joni Mitchell, James Taylor, Jackson Browne to the mainstream, helping them gain recognition in their early careers. He helped shape the folk revival in the '60s and the renaissance of the '80s and '90s, and his music has left its stamp on generations of artists to follow. His distinctive guitar style, wry humor, and warm, expressive voice have made him both a legend whose shows are filled with the rib-aching laughter of terrific story-telling and the passion of gritty blues. He takes the Montalvo stage with guitarist Matt Nakoa.